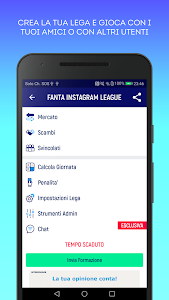 FantaMaster is the most popular and comprehensive application for Italian Fantasy Football! With FantaMaster every fantasy coach has everything he needs to manage his fantasy football, including private leagues with his friends, and aim at the final victory! FantaMaster is the only free application with which you can manage every facet and phase of Fantasy Football and have all information you need to be well prepared. Moreover, you can easily (and for free) manage private leagues with your friends. - Likely lineups based on information provided by Italian sport press, constantly updated almost in real time with all details you need (disqualified players, injured players, etc.). 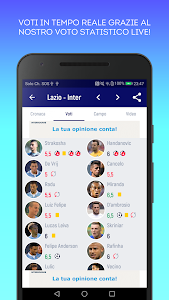 Moreover, FantaMaster automatically computes for each player his likelyhood to be on the pitch! - Free and customizable private leagues! - Chat (both public and private to the leagues) for making fun of your friends or just discussing fantasy football! - Management of your fantasy football teams with support for creating the lineup and calculating marks. FantaMaster helps you choosing your lineup by telling you which players are available, which ones are more likely to play and against which team they will play! - Send your lineup to anyone through social networks, email, SMS and WhatsApp! - Thanks to the "Live Fantascore" feature you can monitor in real time the performance of your fantasy team and receive a push notification at every update (goal scored, yellow card, etc.)! - You have full offline access to all statistics of of all players, starting from season 2006/2007. 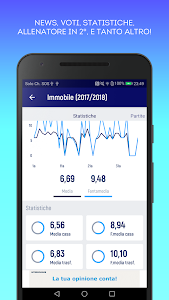 - Live scores of all Serie A matches, including all events relevant to fantasy football (such as goals, decisive passes, yellow/red cards, etc.) and LIVE marks! What are you waiting for? Download FantaMaster for free now! Create (for free) your own private league with your friends and have fun! 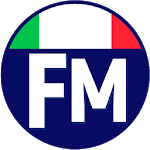 Similar to "FM Italian Fantasy Football"